DO YOU WANT TO BECOME AN INTERCULTURAL TRAINER? Are you working in the training or education field and seek to refresh and deepen your theoretical knowledge on intercultural competence? Are you interested in delivering training on intercultural competence and seek to learn more about training design, tools, and methods? 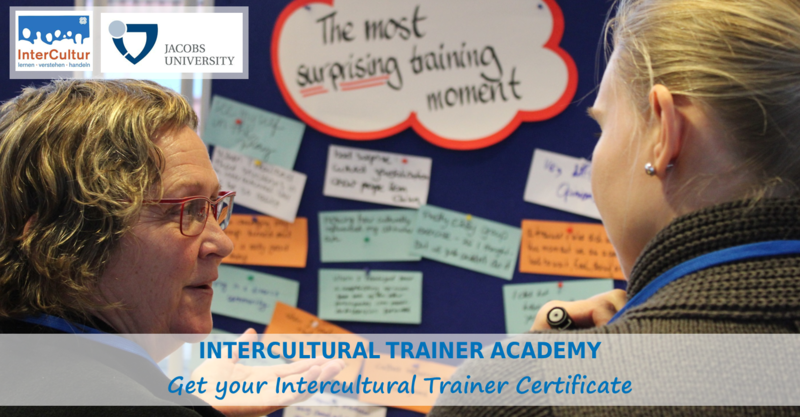 The Intercultural Trainer Academy has it all for you, bringing together theory and practice on intercultural competence and intercultural training. The Intercultural Trainer Academy takes place in January since 2013 as part of the Winter School at Jacobs University, organized by InterCultur and Jacobs University Bremen. Since August 2018 we are also offering a summer edition, which is organized only by InterCultur. Registration for the Intercultural Trainer Academy in summer 2019 is now open!